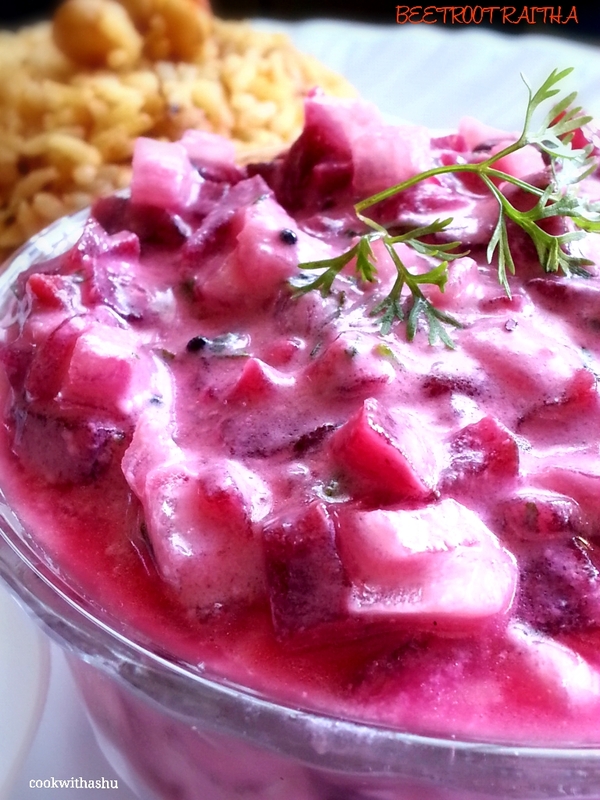 Enjoy this with white rice / spicy masala rice…. 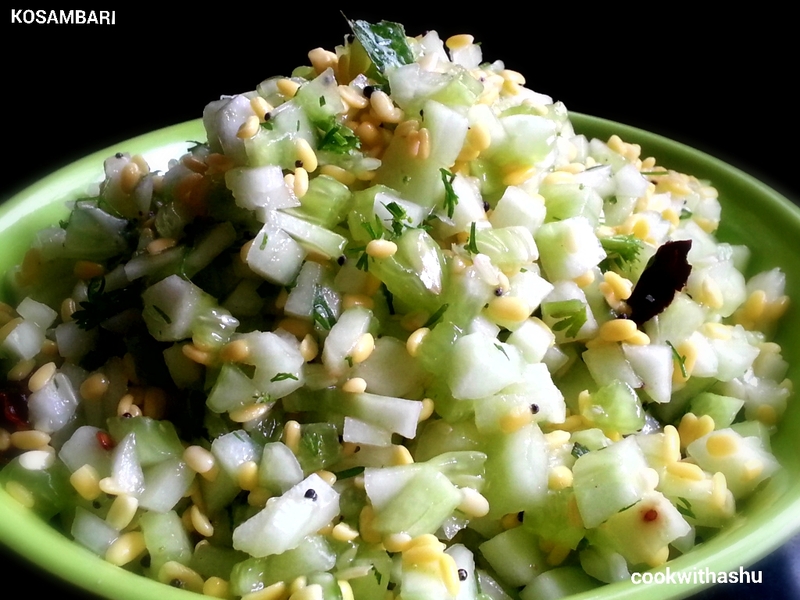 ▪cool this well ,now add raw onions,coriander leaves, curds mix well and enjoy with any rice dishes..
A refreshing and healthy salad made using fresh cucumber and soaked moongdal….. This is famous among brahmins where they give this along with prasadam on festive days,they call this kosambari….. This is one of favourite recipe for which I can skip my meals,for diet conscious people this is one of the best recipe…. *Always mix salt just before serving otherwise it will leave water.. 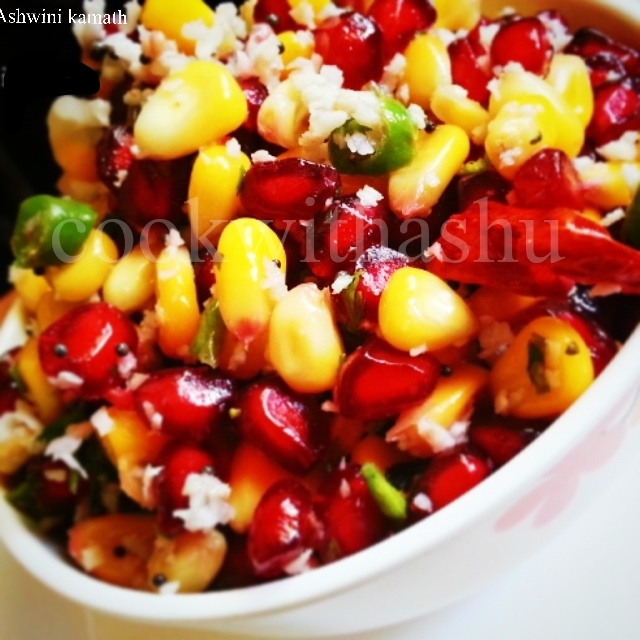 THIS IS A VERY NICE COMBINATION SALAD.TASTE IS JUST AWESOME WITH ALL FLAVORS TANGY LITTLE SWEET AND WITH MILD CHILIES.CAN ANY TIME OF THE DAY. SERVE COLD AND NOTE THAT ADD SALT JUST BEFORE SERVEING ,IF ADDED BEFORE IT LEAVES WATER.